How often are you working around motion instead of seeing through it? Respiratory motion negatively affects about half of all PET/CT procedures. And not just in the thorax, but all the way down to the pelvis as well. What’s more, it affects your images in ways that you can’t always predict or read around. It can hide small lesions, make staging for treatment difficult and lead to inaccurate SUV and volume measurements. Every situation is unique. However, current solutions are cumbersome and take too long to set up, which puts you in the difficult position of having to pick and choose which situations to use it in. As a result, only a small percentage of overall procedures affected by motion receive the benefits of motion correction. Introducing MotionFree1. It’s the first-ever respiratory motion management solution that doesn’t include a gating device. It’s always there, actively monitoring respiratory motion in the background of every PET/CT procedure. When it detects an anomaly, it automatically modifies the scan and then integrates what it learns into the final image in real time. It’s the new way to scan. You never have to decide when to use motion correction again. Instead, you can have the assurance that every patient gets the benefit of reduced motion in their images. The brilliant thing about MotionFree is that it’s always there, even when you don’t think you need it. It gives you the flexibility to choose which bed positions receive motion correction, but it’s always collecting and correcting respiratory motion data in the background. Even if you don’t have MotionFree selected for a particular bed position, you can always go back and use that data to construct a motion-corrected image. It works for any patient in any clinical situation. You can use it as part of your everyday imaging routine, or you can explore new indications with emerging tracers. MotionFree actively monitors your patient’s breathing pattern using information from the PET coincidence stream. Whereas traditional gating devices track motion in a single location and direction at the surface of the body, MotionFree measures organ movement in three dimensions. That means it’s aware of even the smallest movements, which is important because every patient has a unique breathing pattern. Because MotionFree uses internal data, it automatically detects the effects of respiratory motion and makes real-time scan decisions about when to extend scan durations. Its decisions are both quick and accurate. You’ll see up to a 30 percent improvement in quantitative accuracy2 and up to a 67 percent improvement in lesion volume measurements2. By the time a scan is complete, MotionFree has everything it needs to eliminate motion artifacts from your PET images. It fully integrates all respiratory motion corrections into the final image reconstruction. The end result being, you get the benefit of motion correction in every image. Traditional gating devices are clunky, awkward and take up to 11 minutes to set up. Then, once you do finally get it set up, there is always a chance of signal or detection errors, which may lead to repeat exams. MotionFree completely eliminates all of these barriers with a seamless, deviceless experience. It’s one major benefit for you, your patients and your referring physicians and one less thing for technologists to worry about. Click to learn more about the workflow benefits of MotionFree. 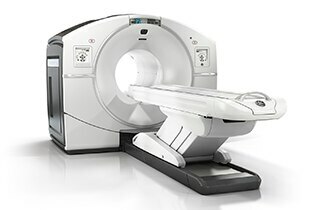 When your patients come in for a PET/CT scan, they’re already under enough stress without having a piece of hardware placed on their chest, or being asked to breathe in a certain way. With MotionFree, you can take that weight off their chest. You can also reduce the total procedure time by up to 11 minutes and give them the freedom to relax and breathe naturally. All while capturing the clearest images possible. MotionFree makes it easy for you to keep motion artifacts from interfering with your PET images. Not only does it automatically clear away motion artifacts from every PET image, it also clears away all the workflow barriers that, until now, have made it difficult to get the corrections you want. Click to learn more about the clinical benefits of MotionFree. 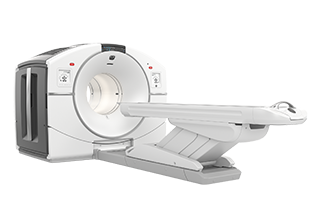 With an easy-to-use, completely digital workflow, MotionFree is the new standard for PET imaging and an essential tool for true discovery. Now, you can provide your referring physicians reports that are free from the uncertainties of respiratory motion artifacts. Sound too good to be true? We would be happy to show you how it works. Contact us for a demo so you can see for yourself how easy it is to use. 1MotionFree is not yet CE-marked for use on Discovery IQ or Discovery MI DR PET/CT systems. 2Compared to non-processed (STATIC, no motion-correction) data. As demonstrated in phantom testing using a typical and fast respiratory model and OSEM reconstruction. 3As demonstrated in phantom testing using a typical and fast respiratory model and OSEM reconstruction. Quantitative accuracy improvements are based on SUVmean. 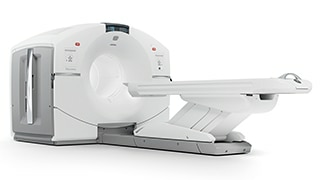 4Based on clinical practice at University Hospital Zurich, using 5-ring PET/CT with MotionFree and RPM. These results are for illustrative purposes only and represent specific customer experiences; actual results could vary depending on clinical practice and circumstances. 5Compared to device-based respiratory gating.